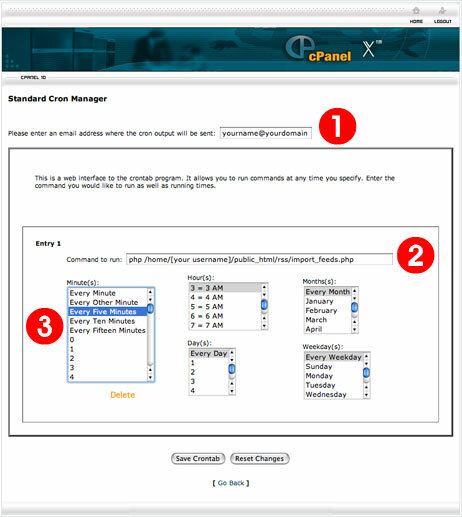 March 2010 – Anything but "Hacking"
First, you need an account on http://bit.ly. To create one, go to the site and register. Once you’ve registered, login and go to your Account page. There, you will find your API key. Replace the first ***** by your bit.ly username and second ************** by your bit.ly API key! Now, place the following code anywhere of your page. It is nothing but a text-input field, where shortened link will be placed. You can use anything instead of a text area, perhaps a <div>tag to display the shortened link! // Results are keyed by longUrl, so we need to grab the first one. Look at the URL: /home/your-username/public_html/ replace it with appropritae location of your root directory. If you have a different location for the sitemap_updater.php file, type it accordingly. The following screen-shot might be helpful (ignore the command given in the image)! Well, if you don’t have access to PHP/Cron jobs, you can manually update sitemaps. The trick is, we will create a HTML file, save it in our local disk, and run the file manually whenever we need to update the sitemap! Whoa! At long last, I’ve finished my Code Sharing/Download/Hosting Project! 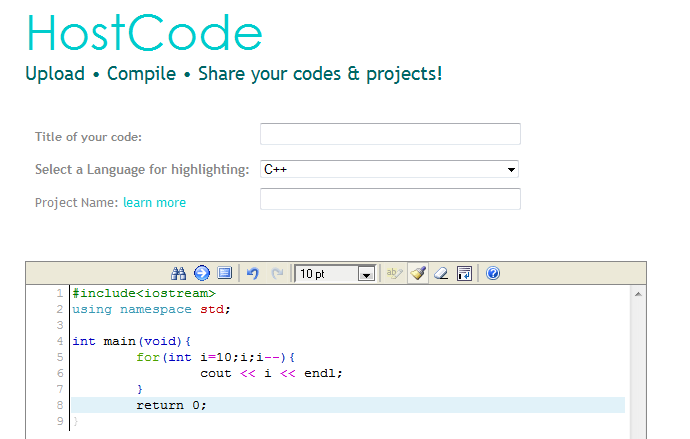 And with bonus – with the features to Compile & Execute your codes! 😀 Yummy, huh? Yes, I was looking for a online code storage so that I can demostrate my codes to others, with perfect syntax highlighting, direct one click download facilities etc. I dreamt of a site that would be handy, no registration will be required, just hit the site and paste your code. To spice up everything, I’ve also implemented comment from viewer facility – yes I know you want comment from your viewers! 😉 And lastly, online compilation of your code! Just hit the compile button, provide some input or not, and submit, you find your output that is permanent, share your code/compilation information with anyone on the web! Simply host, no Sign-Up needed! Permanent link to your code! Secure your code by password! Allow visitors to Comment, bookmark & share your code! Yes, make it your Code Blog! … & much more coming soon, we are always working! Create projects & keep all codes of the project together. & Ofcourse, Compile your code! Thanks to IDEONE.COM for their useful API. Now what? Just try the site. If you like it, please recommend to others, I spent a significant amount of site in the development 😦 It’s totally free, and always will be. Please give me feedback, I will definitely take them seriously and implement ASAP……..
Download Bangla Translation extension from here. Rename it to “ft_lang_bn.php” & put it in the same folder where your downloaded copy of File Thingie resides. Anyway, I think your tasks are simplified, since translating is not that kind of job for a programmer 😦 Anyway, some of my translations are spelled incorrectly, some of them might not be suitable. Please let me know about them. And you’re always at your freedom to modify the code as you need! Note: My translation also stays in the translation packages-download page of File thingie. But i recommend to download it from the hostcode-site, as i may update the script later. So fire up your bangla file manager now!!! So if we want to copy some files from another server to our server, & if you’re allowed to make FTP connections (that means you have an FTP username & password) we can use the script below. 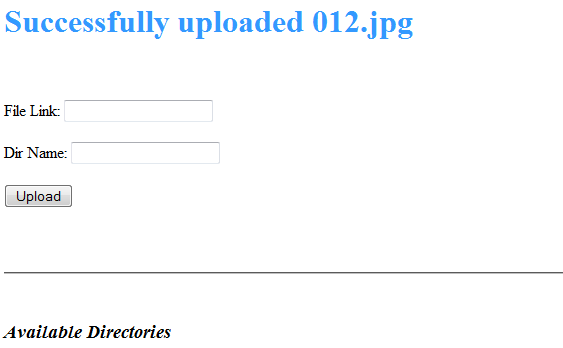 This is a one file PHP script, Put it in the directory where you want to upload files, and use it with simple efforts. The code is pretty self-explanatory, so if you’re going to modify it, you’ll find it a piece of cake! If your server configuration restricts remote opening file (reading files hosted in other server) , this will not work. So here are the tricks…. Go to your TorrentFlux directory where the scripts are available. Ok, we’re done with this file. Now save It, and open the other file “startpop.php” for editing. Save the file, we are done! 😀 Now when the index page auto refreshes after 60 seconds (default time), It will check whether any torrent is stopped. 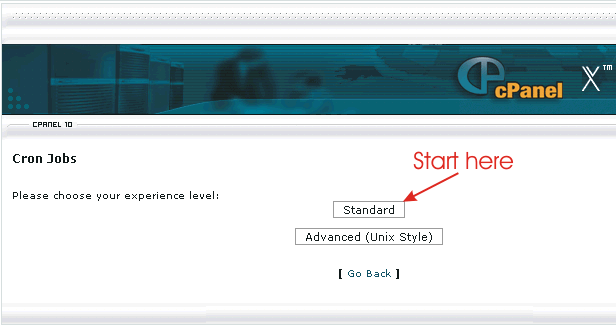 If stopped, it will open the page “startpop.php” in a new window, so UNBLOCK POP-UPS for this domain on your browser. Once the window is opened, it will be automatically submitted, so our torrent download will begin again! Hope it will help. Any questions, ask me. Got a better solution? Help my by notifying! Type Bangla/Bengali right now from your Browser! Yes, that’s right! Once you install this script in your browser, you will not need any additional software (like Avro) to type Bangla. Once you install the script, you can type Bangla on any website! Just click any text-input box or textarea, press Control+m (in FireFox) or Control + y (in Google Chrome) – that switches the mode from English to Bangla & vice-versa. Once more benefit, are you developing your own site? You want your visitors to comment/register in Bangla? you just tell them to install this script. Once they install it, they can type Bangla from their browser anytime. This is quite helpful if you want comments in Bangla from your visitors. For example, blogs hosted in WordPress.com don’t allow you to comment in Bangla. But when you/your visitors install our script, they can type Bangla on any Website! Click here to go to the project’s website! Hasin Hayder (Author of the phonetic typing javasScript). Credits goes to Ekushey . I just made their scripts compatible for Browser plug-n-play & added Greasemonkey userscript support.